Ars Poetica, or The Art of Poetry, is Horace’s advisory letter, in verse, to the Piso brothers, in which he addresses the problems of writing successful poetry. Unlike Aristotle and Plato, Horace is “more interested in the practical questions of how the poet may delight and instruct an intelligent reader, than in defining what a poem is or what literature is” (Selden, Intro). Horace offers the Piso brothers a theory of poetry based not on any universal principles, but rather on the tastes of the ruling classes, the political demands of the day, and good, old-fashioned “decorum.” Horace explains his notion of decorum in terms of a) the proper balance between the didactic and the entertaining, b) the proper regard for audience, and c) the mimesis of nature and of art. First, he insists that the “decorous” poet should not be too daring. “Poets and painters . . . have always had an equal license in daring invention.” Restraint regarding the means, object, and manner of art, therefore, should be observed. Second, flattery of ruling elites is not to be scoffed at, since the poet can only earn a living under their patronage. It is to their demands that the poet must conform, and if he doesn't, he will most likely meet a tragic fate not unlike that of the unfortunate poet in the end Horace’s letter, who, contemptuous of decorum and compromise, is scorned by the world as a madman. Like a leper or a man with jaundice, or one frenzied or lunatic, the rapt poet is the terror of all sensible people: they fly at his approach. Children tease him and rashly run after him. Away he goes, head in air, spouting his verses, and if, like the birdcatcher with his eyes on the thrushes, he falls into a well or a ditch, he may call as loud as he will ‘Help, fellow citizens!’: no one will take the trouble to lift him out again. This shift away from the formal aspects of the work and toward the audience’s reception marks a major departure from Aristotle, who, as I pointed out, rarely even referred to the audience. Horace’s desire to “draw the hearer’s feeling” sounds closer to the audience-reception theories of Zeami or Chikamatsu, than to the philosophical formalism of Aristotle. Horace makes the further claim that, in order to evoke emotion in the audience, the feelings must first be experienced by the writer. “If you wish to draw tears from me," he writes, "you must first feel pain yourself.” I suspect that both Chikamatsu and Zeami might find this statement puzzling, though I can find no quotation to support this claim. The “show, don’t tell” dictum also appears here in Horace as he distinguishes between the two kinds of action: performed and narrated. “What finds entrance through the ear,” he writes, “stirs the mind less actively than what is submitted to the eyes.” Yet, the more shocking scenes―- Atreus’s “banquet of human flesh” or Procne’s mutation into a bird are two examples he gives―- should be narrated, since they are too horrible for sight. “Anything that you thus thrust upon my sight I discredit and revolt at,” he warns. The established tradition is one main source for new art; the other source is the common stuff of life. “My aim,” Horace writes, “shall be a poem so molded of common materials that all the world may hope as much for itself.” And this common stuff of life is to be expressed in the colloquial language of the day, and portrayed realistically. “Fictions intended to please,” he writes, “must be kept as near as may be to real life.” This statement is a stark contrast to Chikamatsu’s claim that realism should be avoided, as it is the most insipid and lifeless of the various methods. This article is copyrighted © 2005 - 2009 by Beholdmyswarthyface. Taciturn and awkward, sure. There's usually something about Japanese studies kids that doesn't fit in with mainstream America. I'm one example, I guess, so it's not necessarily a bad thing (or is it?). Anyway, I haven't read Jimmy Carter's book on Blair and Bush, but I did buy his book "Peace Not Apartheid" for my mother for X-mas last year, and read parts of it, which were quite good. So when you look to American history to see what strains oppose the sort of reckless behavior now going, it's found in two places: the Marx-influenced, anti-imperial Left, and the non-interventionist, paleoconservative Right. And it seems that these two strains are beginning to merge into a coaltion against the two major parties, both of which seem to have been hijacked by the neo-conservative movement. OK, that's enough politics for the day. Don't worry, I'm not getting too involved. I'm still reading lots of Japanese literature. Yesterday and today: the major plays of Chikamatsu. The Drama Nuisance-- Dante Alighieri and Chaucer on "Tragedy"
In “The Monk’s Tale” chapter of The Canterbury Tales, Chaucer describes tragedy in similar terms. Earl Miner presents a convincing case for the particularly collective nature of Japanese literature by looking at the predominant role of “collections" in pre-modern and early-modern Japanese literature. Citing numerous examples from the Nara through the Edo periods, Miner shows that even works that lack the –shū suffix are still often, in fact, collections, thereby qualifying a great many of the pre- and early-modern works as such. The problem with his argument, however, lies in his seeking to ascribe elements of this literary phenomenon to broader social and historical contexts. Examining the societal functions that inform the production of art is a methodology that can and does often prove effective; however, when one is not trained in social history, and is therefore unable to provide sufficient evidence to support one’s claim, then it loses its effectiveness. Though Miner’s conclusion may be accurate― namely, that the “particularly Japanese” social tendencies and notions of “self” and “person” greatly informed the production of literature― the evidence he sights to reach this conclusion is sparse, and his reasoning smacks a bit of nihonjinron. Miner makes several very general and contentious claims about Japanese group psychology and behavior for which he sights no evidence other than the centrality of collections in the literary canon. This poses a larger question: Can any inferences be made about a society through the study of that society’s art, and, if so, what? Can we learn anything about 18th-century German society by listening to and studying the music of Bach, or, inversely, can we explain the music of Bach through the social behavior of Germans? Keeping in mind these larger questions, I will point out some of Miner’s more problematic claims, and show where more evidence could be justified. In typical revolutionary tone, Rousseau (1712-1778) expounds on the limits of reason and rhetoric in a call for a new age based on the powerful use of signs. The Romans understood this language of signs, he goes on, citing the examples of Thrasybulus and Tarquin “cutting off the tops of poppies” and Antony bringing in the body of dead Caesar. Rousseau compares his own age unfavorably with that of the ancient Romans, who “did not neglect the language of signs.” It is this “abolishment of signs,” he laments, that has led to a society that respects nothing but brute force. Thoughts on T.S. Eliot’s "Three Voices of Poetry," from On Poetry and Poets. Eliot divides the voices of poetry into the following three categories. First voice: poet’s “own voice”; audience-less. Third voice: poet’s “assumed” voice; audience, large or small. This grouping, however, poses several problems. First, he assumes that there is a “self” with its own inner voice that is exists independently from “other voices," which are the “assumed voices” of drama. Second, he assumes that this first voice is singular (he calls it the poet’s “own voice” rather than “own voices”), and that it there is little, if any, difference between what exists in the mind of the first-voice poet and what he puts on paper. The problem is, of course, that there is no clear distinction between “outer voices” (i.e., influence) and inner voice (“one’s own voice”). Moreover, the reciprocal relation between the outer and the inner is so vastly complex that drawing a line between the two is ultimately an arbitrary and misleading act. Eliot insists however that there exist examples of this first type of voice, which make up what he calls “meditational poetry.” I would instead argue that no such example exists, that all voices, including those of the most maudlin Romantic “meditational” lyricists, are “assumed,” and that the differences between these three types of voice are determined not by vocal ownership or audience presence, but by the artificial structure imposed upon the work. Keeping with Eliot’s grouping of three, I would instead define the voices as follows, noting that they nearly always overlap. Toward the end of the essay Eliot strengthens his argument by making several concessions. First, he admits the overlap between the three voices― “in any poem there is more than one voice to be heard"-- and, second, he points out that, in the dramatic type, “all three voices are audible.” Furthermore, he notes that a poem for the author alone “would not be a poem at all”― a statement suggesting that Eliot might agree with my assertion that the first voice of poetry is also an assumed voice. This Article is Copyrighted © 2005 - 2007 by Beholdmyswarthyface. Bowring also notes in this essay that Murasaki’s technique is to give the story legitimacy by beginning it in the style of the Nihongi. But “as we progress through the work this historical crutch become less and less important, and indeed less and less tenable, as Genji eventually fathers an emperor, but in the early stages it certainly plays its part . . . [it is a] technique designed to increase the verisimilitude of the fictional work; it is a matter of legitimization, of filling it with so many signs of the public domain that the illusion is created that the fiction itself is of the same ilk.” It might be interesting to compare this with Tanizaki`s own ideas on giving fictional works a kind of legitimacy by presenting them as fact (嘘を本当らしく書く）. Herbert Bix: Can't We Get Over the Millenarian Impulses in Our Traditions? 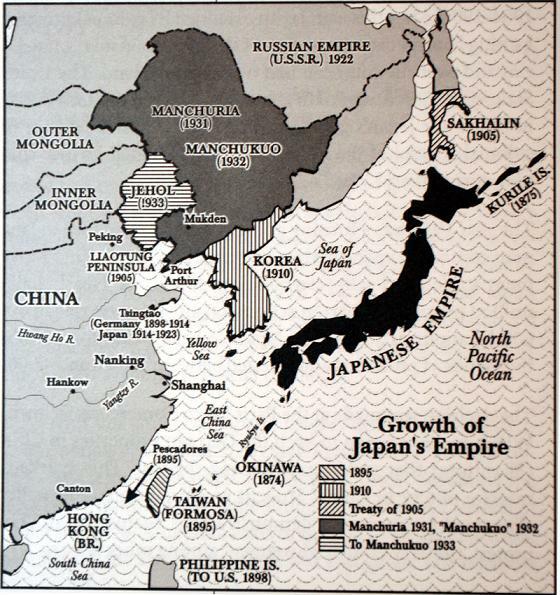 Here is an excellent article from an excellent historian, Herbert Bix, whose book on the Showa emperor's active involvement in Japan's imperial wars was one of reasons I began to study Japanese literature/history. Bix has several other articles posted on http://hnn.us that are worthy of a look. In this article, Professor Bix refers to the "top ideologues" who inform the President's policy-making, many of whom actually write for hnn.us, including Daniel Pipes. I wonder only if Professor Bix is aware that he is making joint contributions with these "ideologues."